I am one of those people who really relies on their iPhone. It's my phone, address book, homework timer, scheduler, note taker, memory keeper, alarm clock, address finder, and all-around best friend. 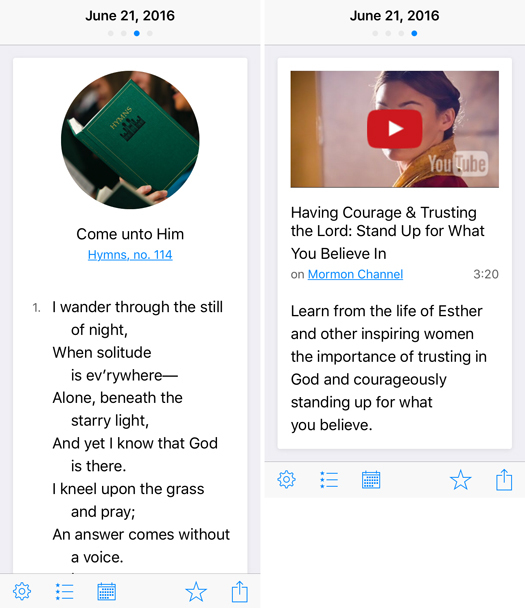 So, LDS Apps are my new favorite thing to discover and use. 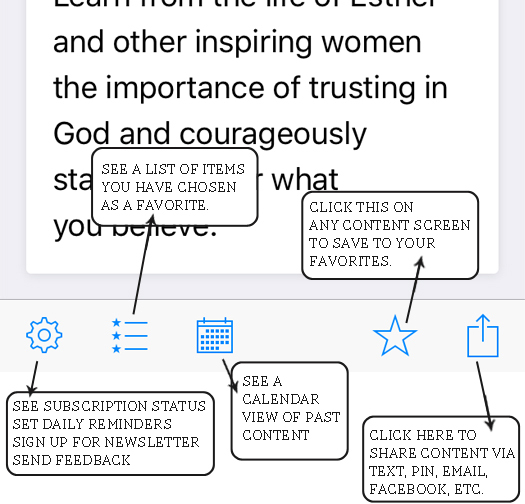 I recently reviewed two great LDS apps for kids, LDS Coloring Books and Verse By Verse, but now it's time for a review of an app for adults that makes my life easier. DAILY VERSE is my new favorite app. 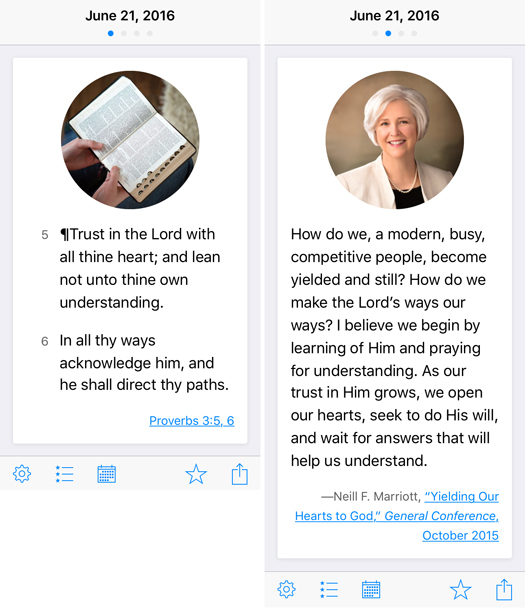 Every day there is theme and each day includes an inspiring scripture, thought-provoking conference quote, sacred hymn or children's song, and motivating video on that topic. You can easily share these uplifting messages with your friends and keep track of your favorites for later! All of the quotes, scriptures, songs, etc are linked to the full scripture or talk so you can read the entire thing if you want to. You'll notice a toolbar along the bottom of the scroll-able screen. Here's what each of these icons does. Daily Verse is free to download and use for a month. After that trial month you can choose to purchase a 6-month subscription for $2.99 or a 12 month subscription for $3.99. Honestly, there are so many free apps out there that I don't often pay for one, but after my month trial I happily paid for the 12 month subscription. CLICK HERE to download Daily Verse.